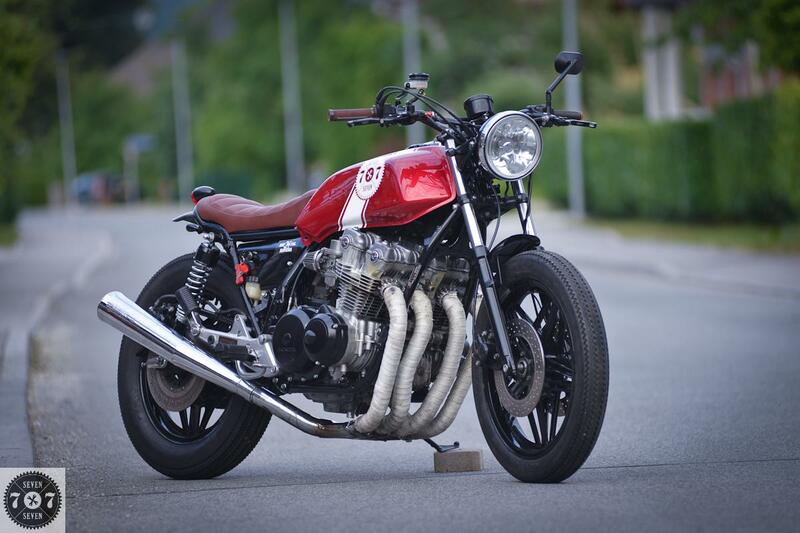 That’s why We all want the sport motorcycle from past, in this case the allmighty CB750 four. If possible in vintage look, like this red-brown-Firestone combo. So here it is, the RedSun, made in 7seven customs. Standing on Firestones, with rebuild engine and all new layout. In half a year we did everything, we rescued this motorcycle from 4 big paper boxes, with engine that was not working at all. We put a new life with our touch into this project. New coluor, new electricity, a lot of new parts, but with old sport 4 into 1 Sebring exhaust. That’s how we love it. –	ALU turn signals in LED tech.